The North Channel is known for its wonderful scenery and an abundance of wilderness anchorages. However, any boating service you might require can be found among the charming small towns and ports that are sprinkled in this gorgeous wilderness. 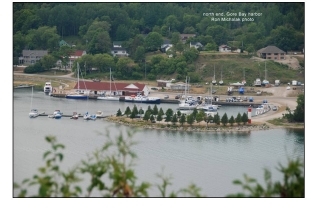 Join Roy Eaton, lifelong boater and native of the North Channel, as he takes you on a virtual cruise of these special ports tucked away in the bays and inlets of Lake Huron's North Channel. As a bonus Roy will introduce you to the famous Little Current Cruisers' Net. Don't miss North Channel Ports. Click here for more information and to register for class.